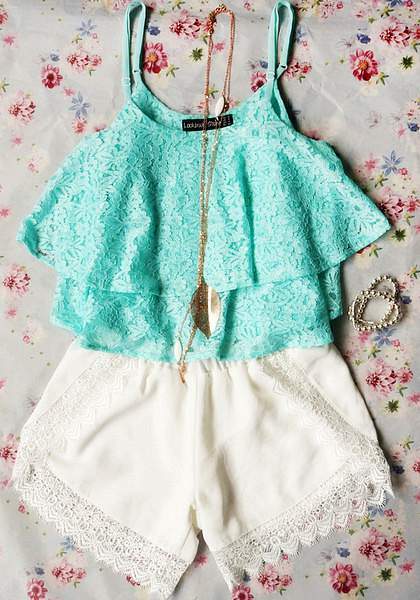 Free yourself from just wearing a simple tee and welcome this cute lacey crop top for a change. It has a double layer lace detailing and adjustable straps. This trendy top is made of non-stretchable fabric and is unlined. This will look very stylish when paired with high-waist shorts or maxi skirts! A perfect getup for your summer escapade with friends!